The tween years (6-12) are a funny time for kids, too old to be a preschooler but not quite a young adult! You are beginning to find your feet and develop a sense of independence, but still need guidance and support. Education wise, this is an incredibly important time as it’s where the foundations of more complex STEM concepts are laid. As parents it is your responsibility to provide an environment which promotes healthy growth and learning. Educational toys are a great way to do this as they can provide out-of-the-classroom learning to help complement the school curriculum. The added benefit being they can also distract kids from unproductive entertainment like video games and TV! So read on for our recommendation of the top learning toys for tweens in 2018. Best for Learning: Computing, Coding. 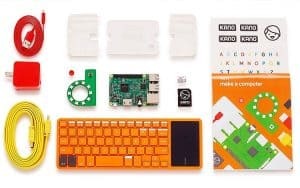 First up on our list of the top educational toys for tweens is the Kano Computer Kit. Kano came into being in 2013 following an incredibly successful Kickstarter campaign which raised over $2 million! Learn more about their story in our DIY computer kit article. Firstly, you have to build your own little computer by following the instructions in the story book. The guide is clear and easy to follow, plus the components snap together like Lego which makes things even easier. You then connect your computer to any screen that has a HDMI port. 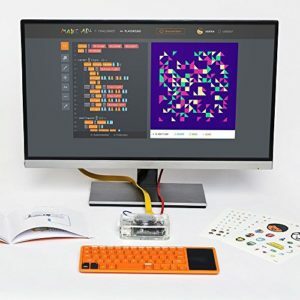 Alternatively, you can buy Kano’s Screen Kit. Through playing with Kano your child can develop valuable and transferable skills to give them a foothold in the digital world. We think this is one of the best computer kits out there, no wonder it’s backed by Apple Co-Founder Steve Wozniak! Best for Learning: Creative Thinking, Problem Solving. Looking for a way to get your kids to use iPads for something productive? Look no further! 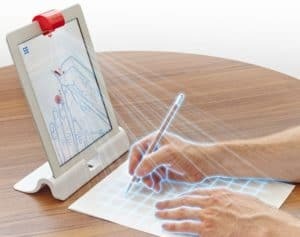 Osmo are the innovative company behind an invention which bridges the virtual and physical realms with a simple iPad attachment. Simply place your iPad on the stand, fix the Red Reflector onto the camera, download the apps and start learning through interactive games. Still don’t get it? We didn’t either so, check out the video below to see it in action. You’ll quickly see why Time named it one of their best toy inventions, and why we included Osmo on our educational toys for tweens list. The Genius Kit comes with 5 games which develop a whole bunch of skills. In Words you use the tiles to spell the word from the clue on screen. Next there’s Newton, 60+ levels of virtual pinball where you have to use real life objects to guide the balls. In the Math game kids will need to count and multiply number tiles in order to solve the problem and pop bubbles to free the fish in the on screen game. In Tangram the screen shows an image and you have to solve the puzzle by arranging physical tiles in the right way. Lastly there is Draw where you draw things in the physical realm and they appear on the screen. Then you can bring the whole process to life with a time lapse of your drawing! But the fun doesn’t stop there, you can get a load of other add on games. 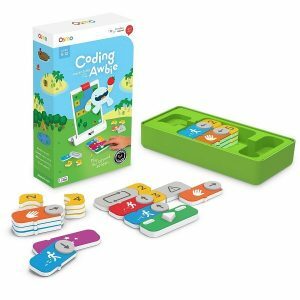 Our favorite being the Coding game add-on which teaches basic coding principles by getting kids to arrange different physical command tiles in sequences to solve challenges in the virtual game. We love this kit and think it is a fantastic way to encourage kids to learn with their iPads rather than playing mindless games! For more great suggestions, check out our article on the best coding toys for 2018. Best for Learning: Coding, Engineering, Robotics. UBTECH’s Jimu Robotics Kit is all about building your own robots and learning how to program them. The set comes with 6 smooth-motion servo motors and 264 snap-together parts, including (thankfully) a lithium ion rechargeable battery so no need to buy your own! The components are of a similar style to Lego, which makes both construction and taking the robots apart super easy. Furthermore, the assembly is made even easier with the animated 3D guide featured in the Jimu Robot App. There is also a guide for a second build – a cute robot dog called MuttBot. And we haven’t even got to the best part yet! Using the App you can then program your creations to walk, dance, jump around and more. This is done with Google’s Blockly, which is a drag-and-drop, icon based interface designed for beginners, so it’s easy to get started. What’s more, your child can learn coding concepts like variables, logical expressions and loops, building the foundations for more complex coding. One of the coolest things about the app is the community section. Here you have access to pictures, videos and designs uploaded by creators from all over the world! 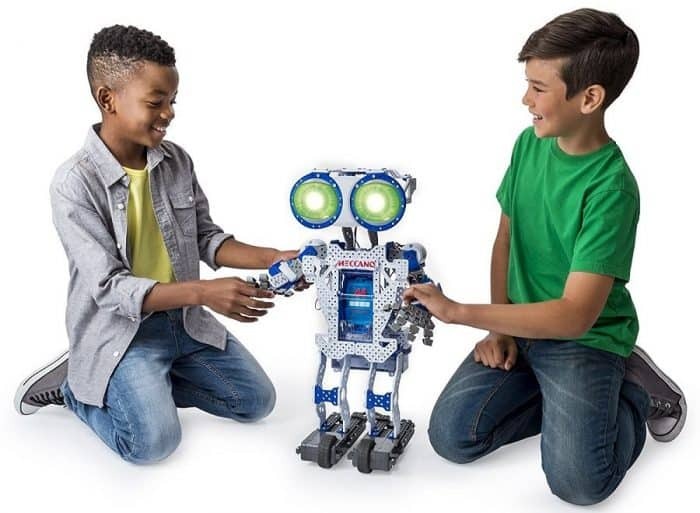 With so many robotics kits available it can be hard to know what’s best for your child, but we think UBTECH’s is both great value and has a good user experience. Hence why they have earnt our recommendation as one the best educational toys for tweens to learn basic coding & robotics in 2018. Best for Learning: Mechanical Engineering & Coding Basics. Lego Boost is a relatively new addition to the Lego robotics collection. 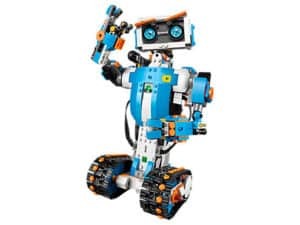 Following on from the massive success of Mindstorms, Boost is a kit aimed at a slightly younger audience designed to teach kids how to build and program robots. The 850+ piece set comes with instructions for 5 builds, including a robot, cat, guitar and a model building factory! This is all guided through in App tutorials, so a compatible device is needed. The robots include distance, color and motions sensors, as well as motors to enable movement. Which is where the fun part begins! Through the App, kids can control their robots and program custom movements and behaviours. In order to do this, kids have to drag and drop graphical code blocks that represent sequences of code. So it’s super easy to learn. The kit is a bit more high end than the UBTECH robot featured above, but there are another 3 more robots included so we think it’s pretty good value. Additionally, the associated App is fantastic and really complements the whole learning experience – we wouldn’t expect anything else from Lego! All in all this is a great learning toy for tweens to learn a whole host of skills. The products on our list of learning toys for tweens are hand picked to provide your child with a balanced curriculum. So it’s time for a science toy, and My First Lab’s Duo Microscope is a great choice. 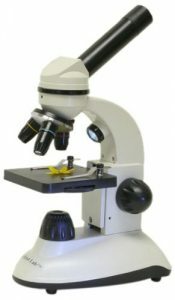 This microscope is a great way to get your kid into microscopy and microbiology from an early age. There are cheaper scopes on the market, but low quality parts result in poor image quality. To contrast, lab-grade parts and glass optics provide crystal clear resolution for a better image when looking down the lens. With 40x, 100x and 400x magnifications, you can look at the world in a whole new light. Ordinary things like skin and plant cells become exciting, which is great for fostering a natural curiosity in science. The kit comes with everything you need to get started, including dyes, petri dish, test tube, forceps, slide covers, 5 blank slides and four pre-prepared. Additionally, it comes with an activity guide full of great ideas like observing onion cell mitosis, how to stain specimens, pollen observation and more! The fact that it’s a duo-scope further expands what you can do. This means that you can shine light from below whilst observing slides, or from above whilst observing solid objects. It’s a good all rounder! 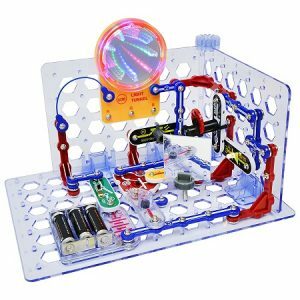 Snap Circuits are the multi-award winning company that make kits which teach kids basic concepts about electrical circuits. All the kits feature signature snap-together parts which make assembling circuits easy – no soldering or tools required! Furthermore, you can keep remaking circuits as many times as you like. There are tons of other Snap Circuits sets available and they’re all compatible, so if your kid gets on well with them you can easily expand the collection. The 3D illumination set is a new addition with some pretty awesome features. Firstly, it comes with multiple circuit boards that fit together so you can build in any direction. What’s more, it also comes with 50 components, 10 of these being new modules. These include an awesome 3 color light tunnel, a projector, mirrors and some cool reflecting circuits. With over 150 projects included in the set, your kid can learn the basics about how electrical circuits function. As always, we hope you’ve found our content useful and informative. 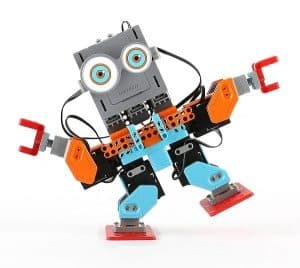 You may feel that the toys featured here were too simple for your child, if that’s the case then step things up with our list of STEM toys for teens. However, if you felt they were too complicated check out our article on educational toys for preschoolers. Alternatively, see our general overview of the best STEM toys for 2018. Feel free to leave a comment if you have any questions!